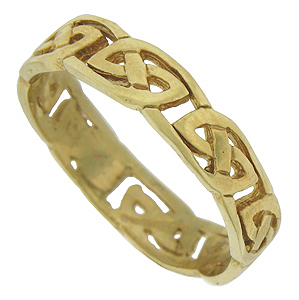 Handsome Celtic cutwork encircles the face of this estate wedding band. 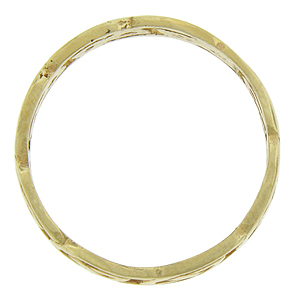 Crafted of 14K yellow gold, the wedding ring measures 4.70 mm in width. Size 8. We cannot re-size.